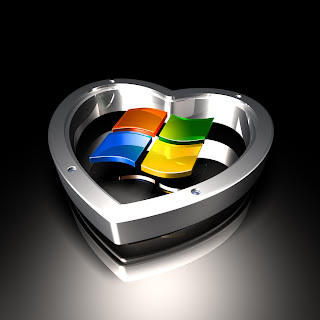 This Valentine’s Day, take Microsoft’s lead: Cater to Individuality, Tap Into Passion, and Be Extravagant. Follow the philosophy of a company that intends to change the world – and you just might change your world too. Women aren’t off the hook here, either. In fact, unless her partner happens to be especially fond of the colors pink and red, a woman may have a more difficult time deciding on the perfect Valentine’s Day gift than a man. For a centuries-old holiday, Valentine’s Day still stumps the best of us. But this year? We think we have the perfect answer. First of all, some background: For the past few months, we have been anticipating the results of Microsoft’s 2011 annual giving campaign. The other day, we finally had the opportunity to learn that their employees donated 55 million dollars. Microsoft matched those dollars and brought their total contribution to nonprofits this year to a whopping 100.5 million dollars. To us, the amazing piece is that this amount came from employees and from the company – not from the Bill and Melinda Gates Foundation. And although the brand is one of the best known in the world, Microsoft is not the largest American company. Yet, compared to Bank of America, the 3rd largest company in the world(Forbes, 2010), Microsoft and its employees gave 70% more per employee. The worst thing about a box of chocolates isn’t just that it implies you forgot about Valentine’s Day until the last minute. It’s not even that chocolates are not exactly going to contribute to your partner’s overall health. The worst thing about a box of chocolates is that it says to your beloved: You are just like everyone else. Microsoft doesn’t just raise money during their annual giving campaign. Rather, they celebrate the individuality and uniqueness of their employees. For example, James Liao came to Microsoft as part of the Microsoft Academy for College Hires. James had a passion “to use technology to improve children’s lives” so Microsoft enabled him to donate to Dream Corps, a youth education nonprofit. But instead of donating cash, James dedicated more than 700 volunteer hours within his first six months and Microsoft matched those hours with a $12,000 gift to the nonprofit through their dollar for doers program. To celebrate love, tap into passion. There may be nothing worse than when the words “I love you” are spoken out of obligation. No one wants to be loved that way; no one wants to be endured. Passion brings us to places of deep desire. Valentine’s Day is about desire, pursuit, and longing. Microsoft’s employee volunteering program is not an “everybody else is doing it” initiative. Neither are they involved in an effort to appease their employees. Rather, Microsoft is trying to change what’s normal. Microsoft believes they can mobilize employees to volunteer in ways that will change the world. Last year, 6,000 of the volunteers that participated in United Way of King County’s Day of Caring were from Microsoft (there were a total of 11,000). How do they motivate such impressive numbers? They fundamentally believe in the potential of volunteering and they encourage it at every level. When it comes to skilled volunteering, Microsoft has passion. With highly knowledgeable and talented employees, Microsoft is working with part-time teachers to support school districts that are unable to meet Science, Technology, Engineering and Math (STEM) teaching needs because of budget cuts or a lack of qualified teachers. In 2011, over a dozen of Microsoft employees committed 1,598 volunteer hours to TEALS (Technology Education and Literacy in Schools), a Puget Sound nonprofit that places technology professionals in elementary and high school classes to teach science, technology, engineering and math (STEM) subjects. Over 800 students benefited from the efforts of these employees and the passion of the company to make a difference. Love is romantic when it’s lavish. A card and flowers might be a lovely gift - but don’t just pick up the flowers on the way home from work and don’t just sign the card, “from me.” Go out of your way. Say something unexpected. Be extravagant. How about sending the flowers to the office? And in the card, include a poem. (It doesn’t have to be your poem, but it does have to be your handwriting.) Go one step farther than your partner would have imagined. Remember, convenience and ease are not love. Microsoft is ridiculously extravagant when it comes to employee giving and volunteering. Many companies talk about high participation rates during their annual giving campaign: 75%, 80% even 90%. This past year Microsoft’s participation rate was 64% or 35,500 employees. Yet they out-gave and out-volunteered most other companies their size or larger in 2011: to the tune of almost $3000 per employee. This is the number that tells the real story. It’s not about how many people participated, it’s about the total matched gift per employee. Participation is a feel-good number; giving per employee is the real number. Microsoft plans to significantly increase their overall participation rate next year. With their commitment to extravagant giving, next year’s results should be impressive. Full Disclosure: This blog post is inspired by a 2011 trip to the company’s Redmond campus that was sponsored by Microsoft. They kindly covered all of our travel related costs. We received no fees for writing or posting this article. great post. i actually read news about it but you really but a nice spin to it. Thanks for the good words Jane, it was fun to write.